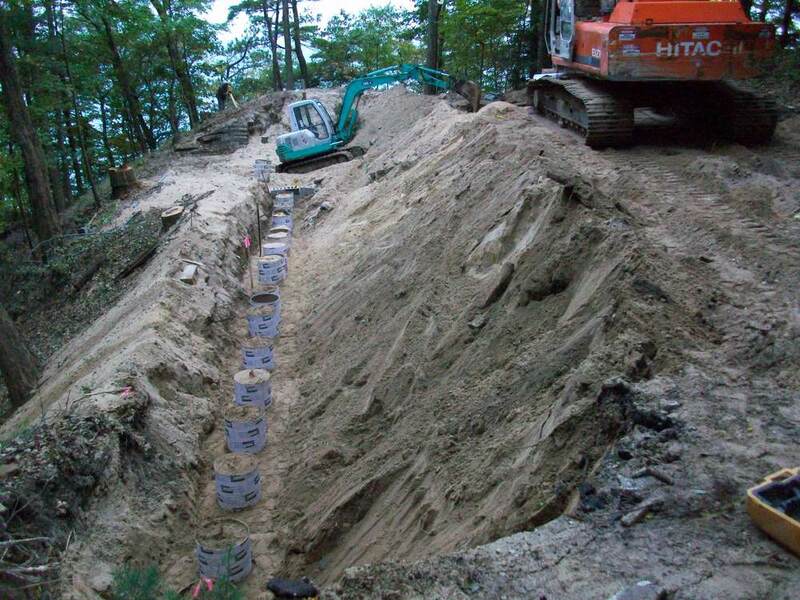 THE KING CO., INC. was selected by Zahn Builders to design-build a vibration free earth retention/foundation system to support a new private residence located along Lake Michigan in Grand Haven. 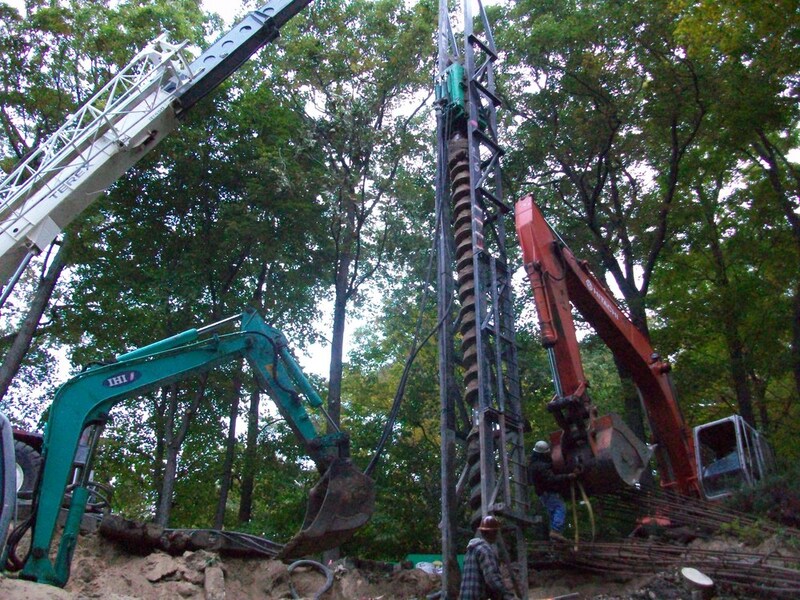 The earth retention system consisted of an innovative semi-tangential auger cast wall that also served as foundation support piling for a portion of the house situated over the dune slope face. 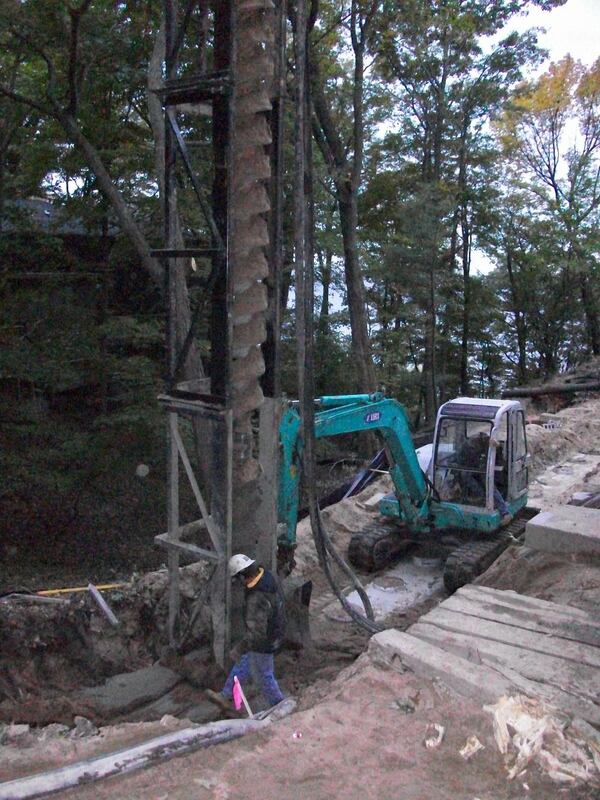 Auger cast piling were also installed to support other portions of the residence. All construction took place in limited access areas, included low overhead areas to preserve surrounding trees. 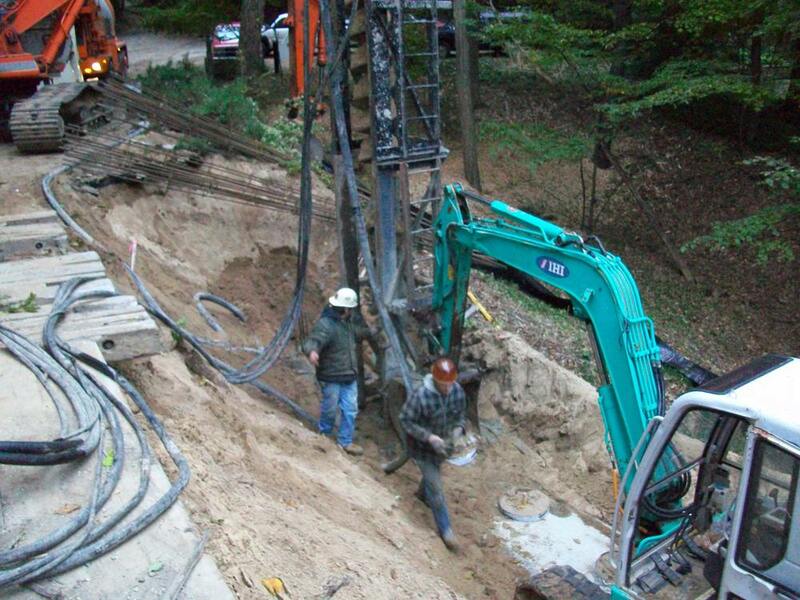 All installation support members were designed according to MDEQ permit conditions.